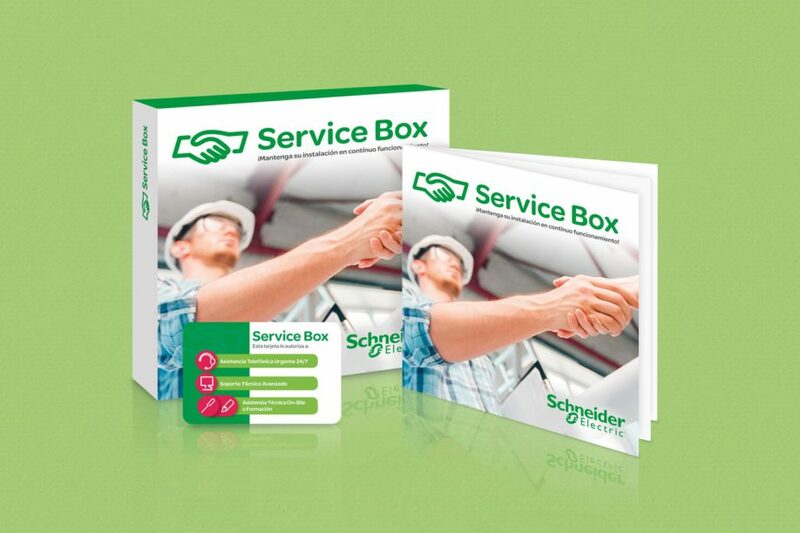 Development of an exhibitor for sales points that holds a pack with the promotion “Service Box” of Schneider Electric. 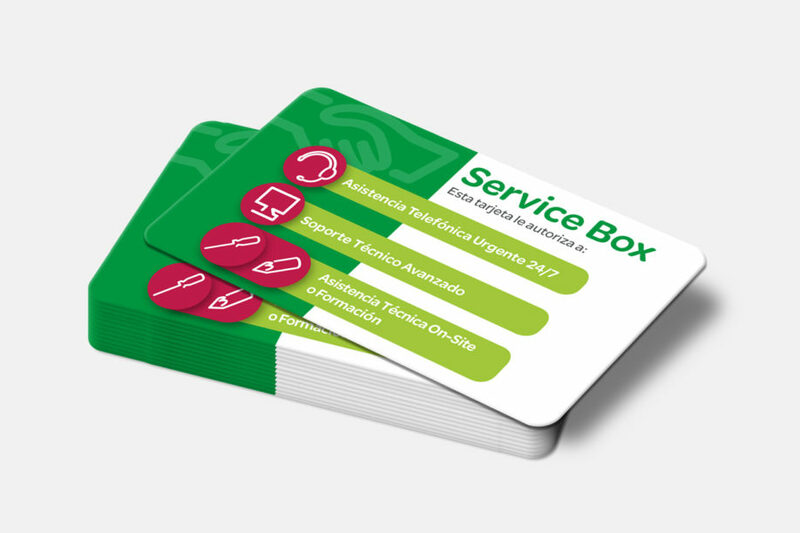 Design of the exhibitor and of the packaging, as well as of the different elements that it contains in its interior. 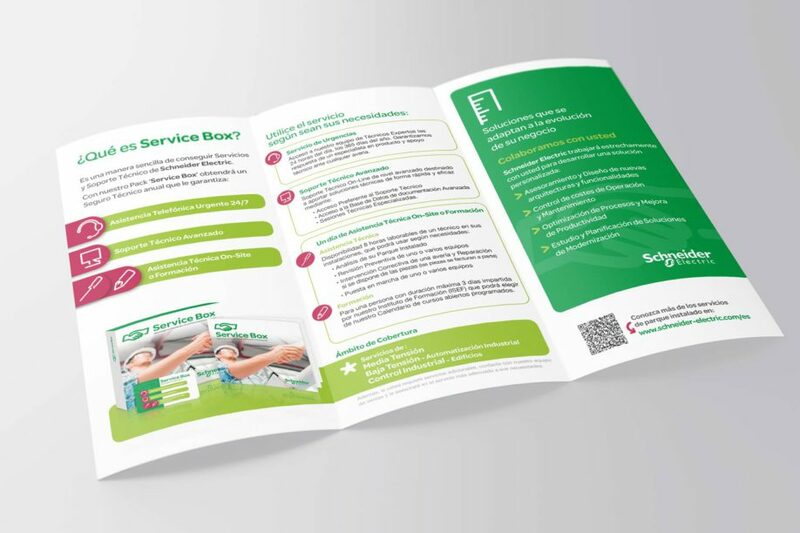 The pack consists of a triptych, an explanatory brochure and the card with the data of the promotion. 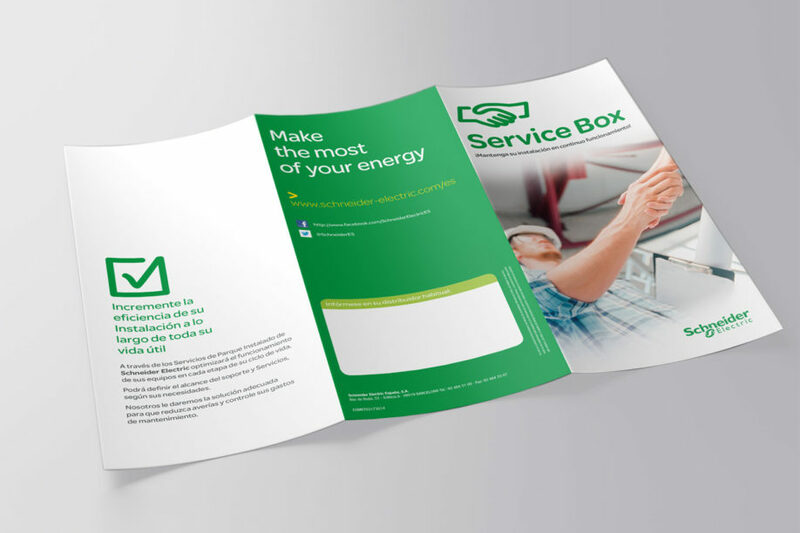 Design, layout and hierarchy of the information and contents for the different elements. Image search and retouching.